the cozy birdhouse: santa! i know him! Merry Christmas! We celebrated three different Christmases this year, so here's some photos from the first one! After work on Wednesday, Dan, Mae, and I went to the mall for some last minute shopping and a visit to Santa (or as she calls him, "DaDEE"). 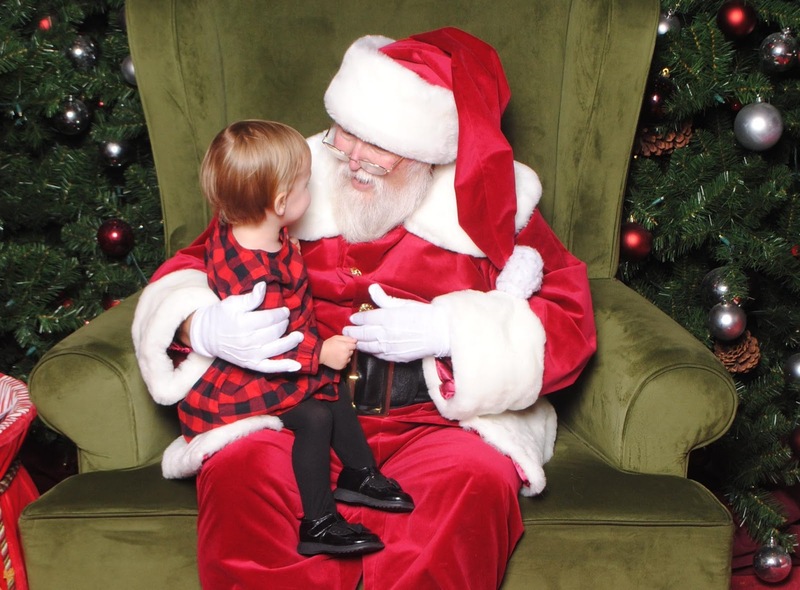 I gave Mae a pep talk while we waited in line to meet the man in the big red suit, and she was pretty excited by the time it was her turn. 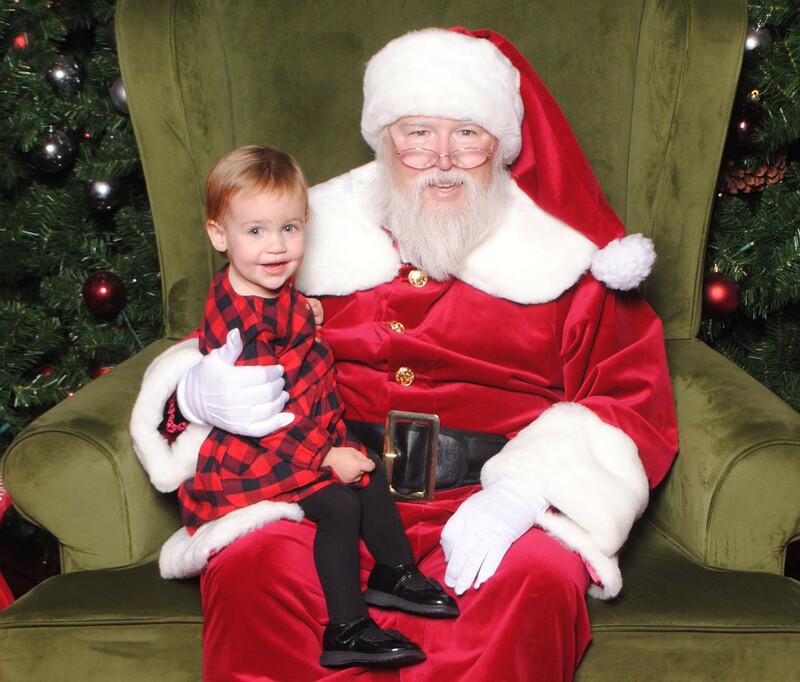 She ran up to Santa with her arms outstretched. She sat on his lap and babbled away, pointing out Mama and Dada and announcing her own name "Mah-eee." When her time was up I asked if she was ready to go and she said, "No no no no no" and tried to stay in his lap. Successful Santa meeting! Thursday morning, we woke up to find Santa had visited our house early! He must have known we would be traveling on Christmas Day. Mae got a train set from Santa and a play kitchen from us. She ran to her kitchen right away and started cooking: turning on the burners and opening all the cabinets. Mae also had fun digging through her stocking for goodies like Play-Doh and snack cups. She immediately wanted to open her box of goldfish crackers but I distracted her with raisins instead. She snacked and played all morning until it was time to nap and then drive to my family's house for Christmas 2!